Wow–we’re on week 9 of the 2012 College Football Tailgate Party Series already! Crazy! And, it’s a HUGE game day for us (hosting Michigan in what will likely decide who will be the division champ). We’ll need all the team spirit we can get, including from the baby of course! 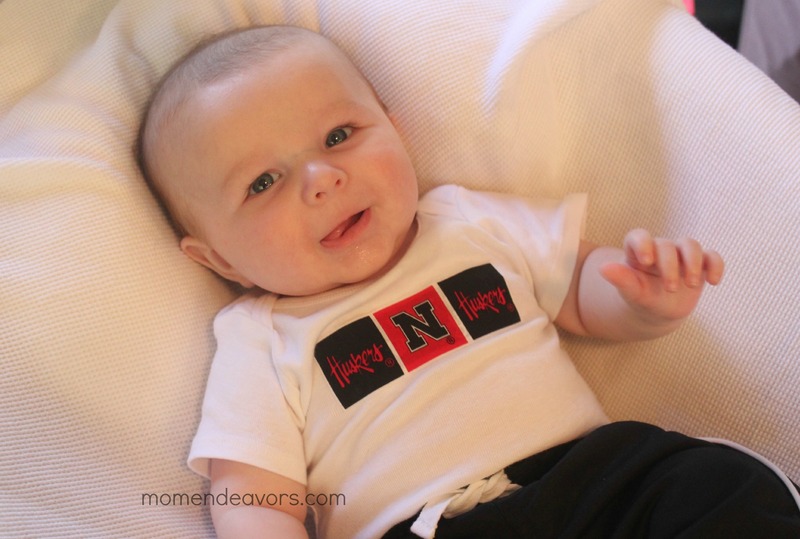 🙂 We only have one little Husker outfit that’s small enough to fit him. And, last week right before gametime we realized that it was dirty. So, what’s a mom to do?! Upcycle one, of course! 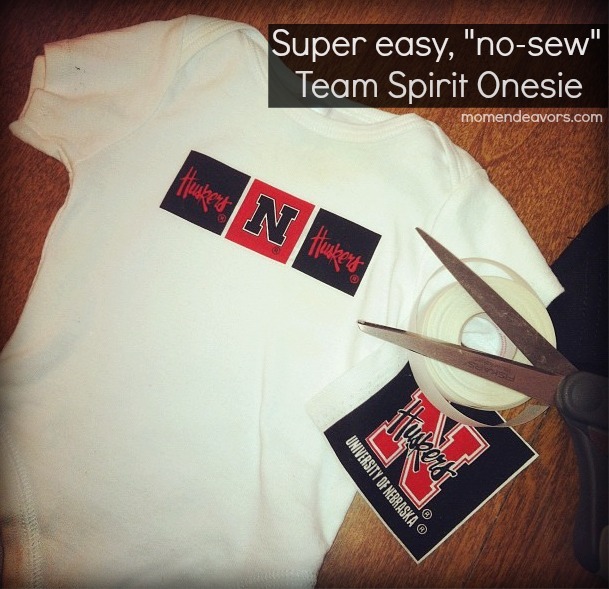 The whole process was ridiculously easy and after not even 10 minutes of total time, Baby Brother was rockin’ a new Huskers-style team spirit onesie! 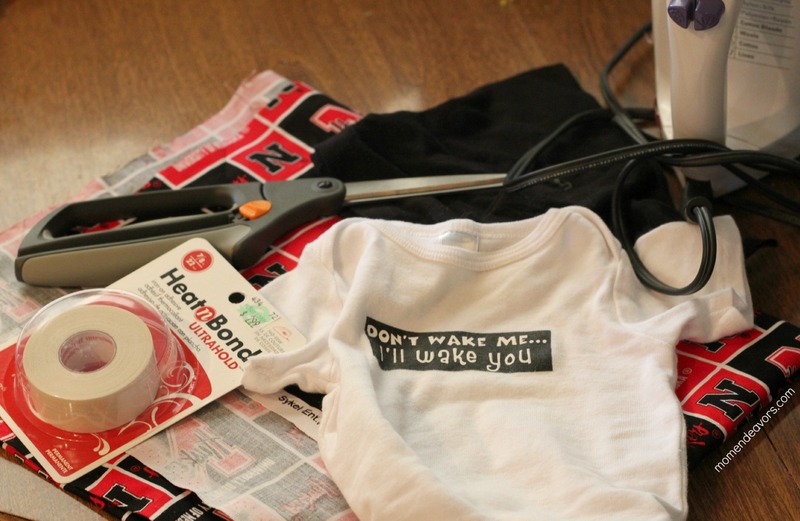 To do this, I just grabbed a white onesie we had that I wasn’t particularly attached too. It had a fairly small saying on the front that could easily be covered up. Then, I rounded up my supplies. 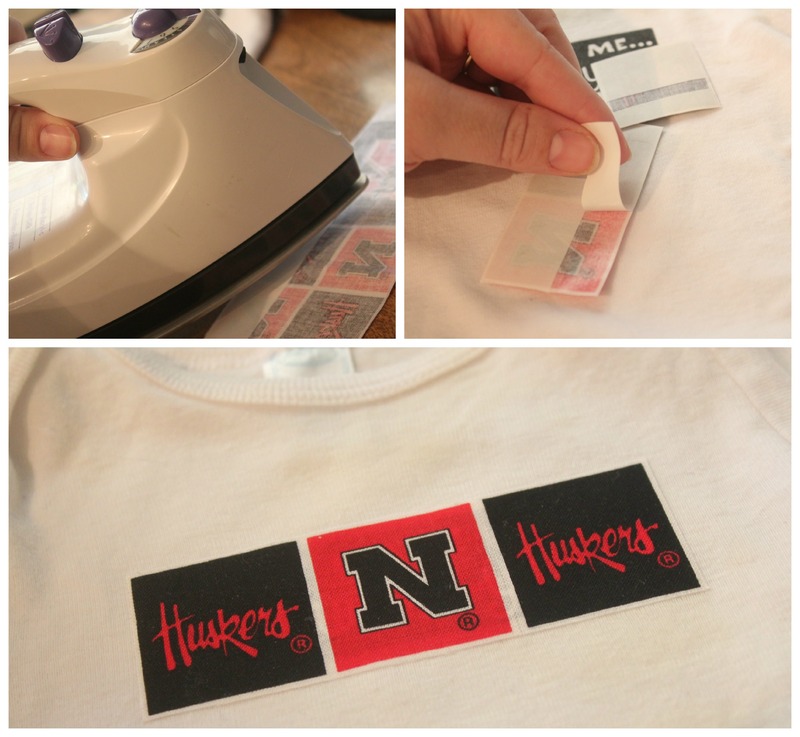 The Husker fabric I have is perfect for this project because I can cut perfect squares of it (they make this same style for other big teams too. I got it at JoAnn’s and I feel like I’ve seen teams like Notre Dame, Michigan, and Florida in a similar print). Link as many posts as you like, just please be sure to link back here or grab the but­ton (code is on the right side-bar)! What I really notice are the pics. I’ve been meaning to tell you for quite a while how much I think your pictures have improved! Love the layout, focus, lighting and consistent size even of the compilations.